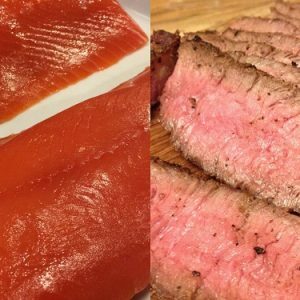 Wild Alaskan Coho Salmon Filets, 5 lbs, individually packaged. Average weight .5 – .75 lbs per individual package. 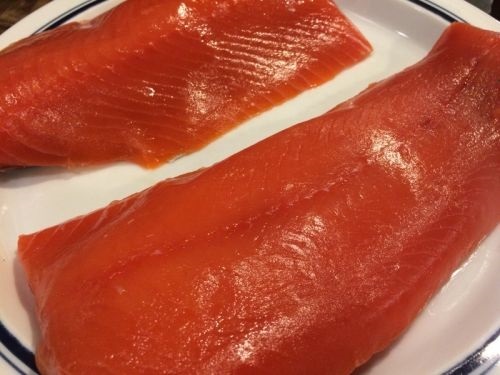 Sustainably harvested wild Alaskan Coho salmon sourced from Sitka Salmon, Galesburg, IL. 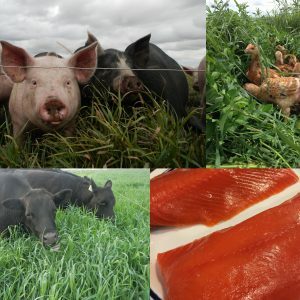 * Wild caught – not farm fed. * No dyes – the beautiful color is the real thing. 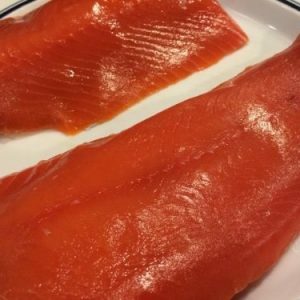 * The most local, sustainably harvested salmon you can eat. Online prices include transaction fee and sales tax.